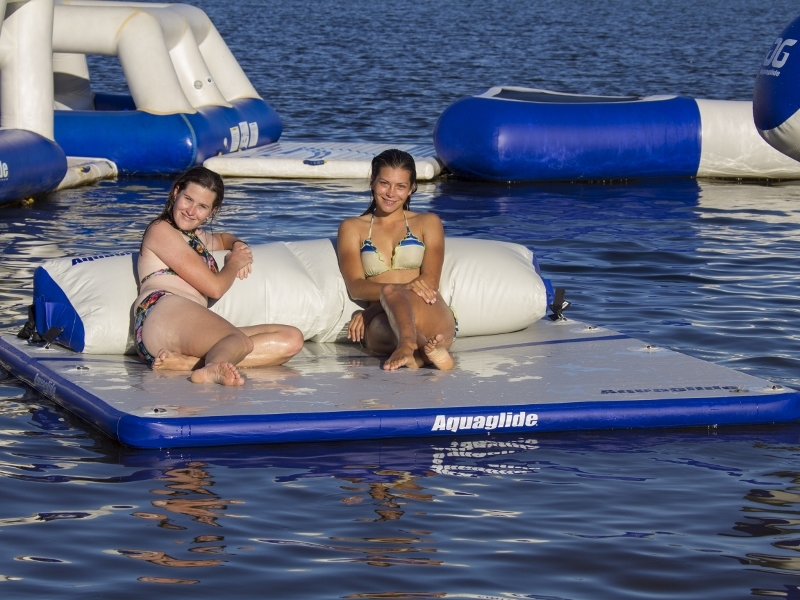 The Aquaglide Sundeck inflatable lounge makes a perfect island for swimming, playing or just relaxing. Ideal for use as a launching pad for watersports. Low profile for easy access from the water without the need for extra accessories. The Sundeck's durable, commercial quality construction allows it to be anchored all season long. Comfortably fits up to four users. Commercial Quality; used by cottagers and resorts everywhere. Shipping dimensions: 24" L x 16" W x 10" H, 41 lb.